Earlier this month, Amazing Comic Con announced it was no longer planning on holding the annual Amazing Arizona Comic Con for various reasons. It came out today that a local is trying to use the success of Amazing Arizona to launch their own convention. A local comic book store owner has apparently been reaching out to potential comic book guests for their convention in August to appear at his show. 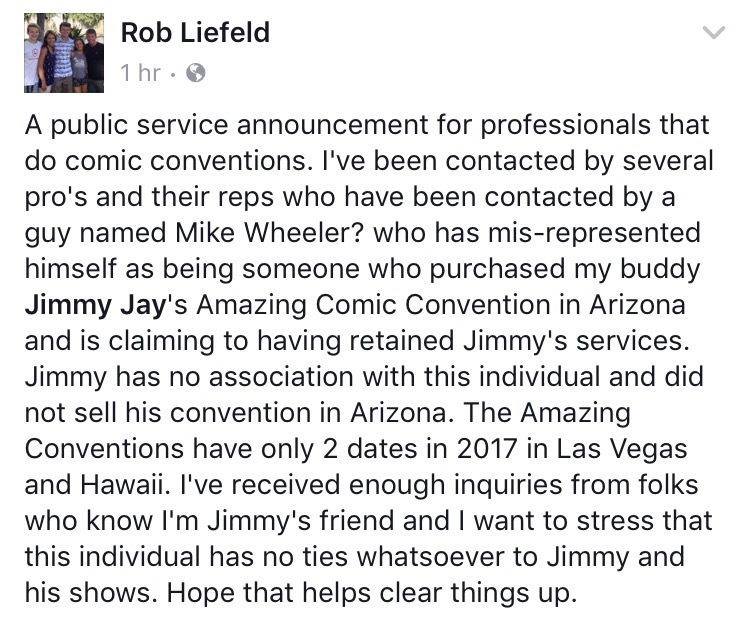 Here are a few more details from Deadpool creator and friend of Jimmy Jay, Rob Liefeld on his Facebook page. Fabian Nicieza, who is credited as co-creator of Deadpool, shared the text of an email he received from the individual. “No, we didn’t buy out Jimmy Jay. This whole thing is just a group of people taking things out of context and doing what they can to spread the hate. 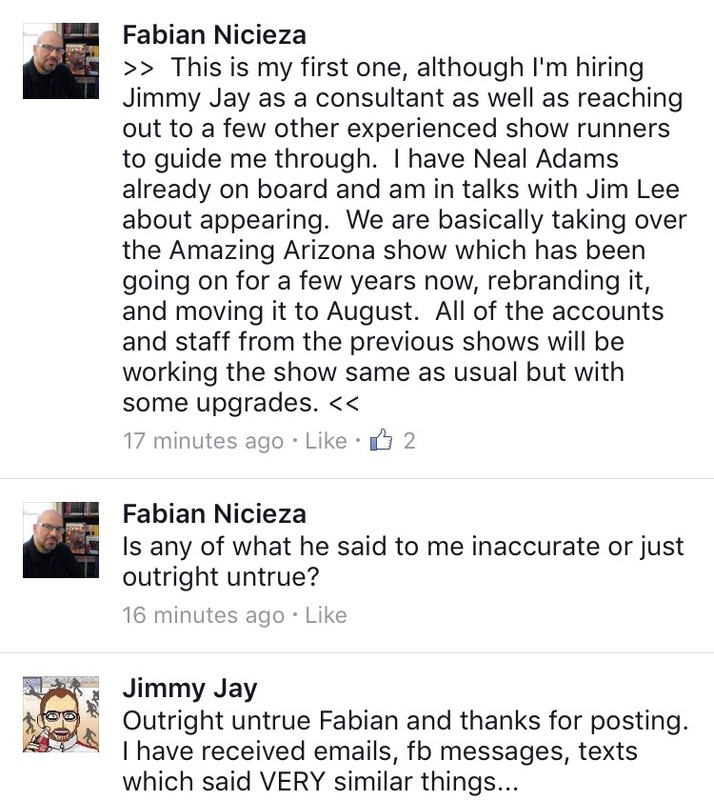 We were in talks with hiring Jimmy Jay as a consultant. But we never claimed to buy out the show. We have emails and message history where we let people know we were starting a new show in the absence of amazing arizona.